There IS a difference between “heartburn” and acid reflux. Though these words are sometimes used interchangeably, they do have different meanings. 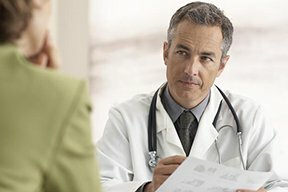 “Heartburn is a subjective term which typically indicates that a patient has a burning discomfort in the chest which is usually worse after eating,” says Dr. Neil Sengupta, MD, a general gastroenterologist and assistant professor at the University of Chicago, and GI Research Foundation Scholars Award Recipient. “Heartburn symptoms can be associated with a bitter or acidic taste in the mouth,” continues Dr. Sengupta. “Heartburn symptoms is usually due to acidic reflux, although heartburn symptoms may occur without evidence of pathologic acid reflux. “Acid reflux means that acidic contents from the stomach ‘reflux’ up into the esophagus where it can cause symptoms such as burning in the chest or regurgitation. This term is used in TV, print and online advertising for the burning or abrasive sensation in the chest that one feels after eating a rich heavy meal. The sensation may also affect the upper abdomen and may be triggered by severe mental stress. The term much more marketing appeal than “acid reflux.” It’s not a medical term. It’s a subjective descriptor of how the patient’s cheat feels – as though their heart is on fire. The stomach normally produces “juices” with a low pH level. These juices help break down food for digestion. They are not supposed to travel upward (reflux) into the esophagus, but for many people they do. Two more triggers for this are a weak esophageal sphincter muscle and lying horizontal. In fact, sometimes these harsh contents go up as high as the throat and mouth, causing symptoms in those areas. Acid that has refluxed into the esophagus (food pipe) does not always cause a burning sensation; it may cause an ache, an actual pain or a pressure feeling in the chest. Can You Have Acid Reflux in the Throat but no Heartburn? Can You Have Acid Reflux Without Any Symptoms? Can Acid Reflux Cause Red Irritated Tonsils?